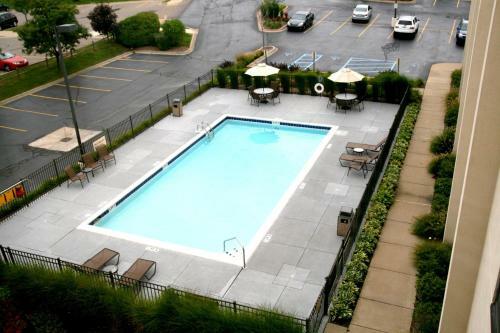 This hotel in Northville, Michigan features an outdoor pool, a gym and rooms with free Wi-Fi. It is 20 miles from Detroit Zoo and downtown Detroit is 27 miles away. While staying at the Hampton Inn Detroit Northville, each room includes cable TV with pay-per-view movies. The rooms are also furnished with tea and coffee facilities as well as a work desk. A business center is available at the Hampton Inn Northville. The hotel also offers a 24-hour front desk. The Compuware Arena, a multi-purpose arena, is 8.5 miles from the Hampton Inn Detroit/Northville (Farmington Hills Area). The Henry Ford Museum is 22.5 miles away. 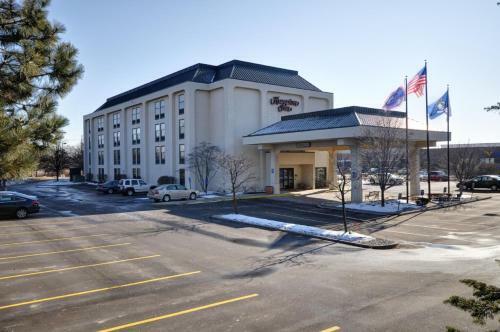 the hotel Hampton Inn Detroit Northville so we can give you detailed rates for the rooms in the desired period.